If you are intrigued by the idea of moving to SIP trunking for your business communications, especially given that the traditional phone system (PSTN or POTS) will be phased out within 10 years, you are not alone. SIP trunking is more popular than ever with more than half of businesses in the US using it today. But many of the folks we talk to have some lingering concerns about making the move. If you are in this camp, you are smart to ask questions, but the good news is most of those fears can be put to rest. Call quality is obviously a high-level concern when it comes to business communications. Poor quality audio can hinder work and frustrate customers. Lots of people think that SIP trunking will sound like the consumer-grade solutions they’ve used like Skype and Facetime. Fortunately, that’s not the case at all. Properly configured SIP trunks with the correct Quality of Service (QoS) router settings are virtually indistinguishable from calls made over traditional telephone lines. Of course, it is necessary to work with a reputable SIP trunking provider. For the best quality and reliability, choose one that leverages only Tier-1 carrier networks. Lots of people make the assumption that because SIP trunking is modern and sophisticated that it will be more expensive than the old fashioned stuff. Once again, we can offer good news. SIP trunking generally saves businesses between 20 – 60% of their communications costs. Rather than paying per-minute long distance charges for calls to most of the US and Canada, SIP trunk users pay just a low monthly fee for each channel, regardless of how much they talk. This makes monthly fees predictable. In addition, unlike traditional telephone lines, which are sold only in groups of 23, SIP trunks are sold one channel at a time, meaning that you can subscribe to, and pay for, only the exact service that you need. SIP trunking works with most PBX systems and business-class routers, so the up-front investment is limited to small setup fees. 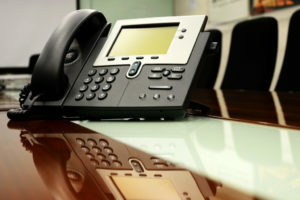 The SIP trunking business is expected to be over $10 billion by 2018. That’s not surprising given the big advantages and cost savings it offers customers. Don’t let these common misconceptions keep you from taking the leap to the new generation of business communications. When it comes to SIP, you can say, “Go!” with confidence.